Subscribe to us and you will receive random exciting discount coupon offers and announcements by email. Simply spend $300 with us and receive a LIFETIME automatic 20% off at CHECKOUT. Matt, just wanted to say a huge thank you for the surprise $10 off on my first order – little things like that really make my day (and also the courteous phone manner croaky voice and all)! Hi Matt, thanks for taking the trouble to keep the shipping costs down, really appreciate it and great job on the top notch customer service! Hi, I have been a constant user since these rollers first came on the market, with 2 cats and a dog, they are fantastic for all my dark clothes, now my friend from Vancouver, B.C. Canada wants one. Finally a product that gets rid of every little bit of lint from black suits and clothes. The large rollers can be used in so many ways on a variety of surfaces – carpets, rugs, wooden floors, lounges and bed linen. Everything easily and simply removed, no scrubbing or sweeping required. I have used them in the bath where a lot of lint and hair collects. A water-less way of cleaning vertical blinds. As the stickiness is strong it picks up all dust unlike inferior products. I have also used the large rollers to remove lint and dust in my car, and in particular, the boot. An excellent product to use if allergic to dust mites, especially on mattresses – no more issues in using expensive vacuum cleaners which just move mites around the home. Love this product! I've been using my lint roller for almost 20 years and was so glad to see that I could still easily and quickly reorder the same product after so long. It is such a superior product when it comes to removing dog hair (and there is a lot of it in my house with two dogs) and it is so quick and easy to remove hair safely from all surfaces. I use it on my clothes, bedding and furniture and the roller refills seems to last so long, I am really surprised! I bought extra this time around so I could have a roller at home, at work and in the car and the guys so kindly included some extra little travel rollers as well which are superb for my suitcase and handbag. Thanks for a wonderful product! This website is one of the best when reordering goods. No need to wait while changing screens to next part of transaction. Matt Merry Christmas to you and all at AussieLint Roller. Wow, super-fast service! Just got them, and LOVE the mini rollers, perfect to keep at work and in the car ? Wow! Already received. That was so very quick. Thank you. I just want to say I don't know what we'd do without your products, especially the LintRollers. You see, we have fallen in love with three long haired Tibetan pups who drop a lot of hair. We keep large LintRollers upstairs, downstairs and one in each car. Our furry kids will be with us for several years to come so we'll be using your product/s every day to ensure there's no fur or fluff or anything else on our clothes, furniture, car seats or rugs. 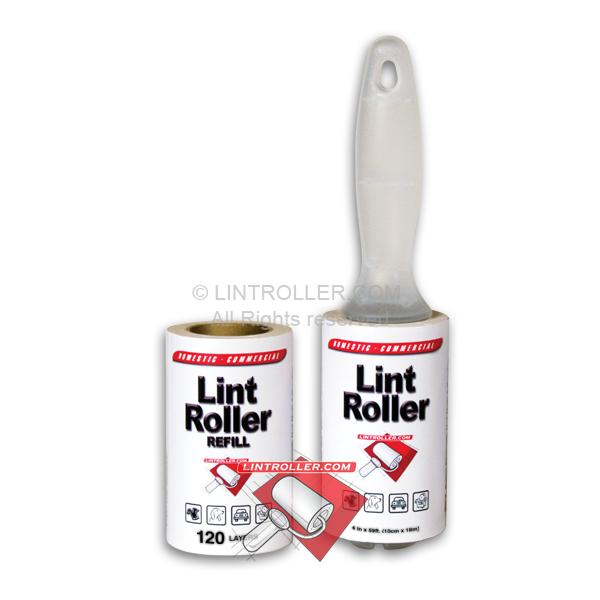 The Lintroller effortlessly removes it all. I hope you never stop making them. Thank you too for your prompt service and delivery. Thank you very much for your very prompt service. I received my order today!!! Very quick, considering Easter was in the middle! Thank you so much. I recently had an issue with your product. After sending you an email detailing my issue, you immediately telephoned me and within one week you had sent me replacement products. I just wish to say thank you so much for your extremely quick and customer focused resolution of my issue with your product. Service like that is very far and few between and I appreciate it. Do you have feedback that may improve our site and service? Nope! It's so much easier buying through the site than trying to find stores that stock your products! Your lint rollers are SOO much better than any of the other crap out there! ? ? Hi Matt, thanks for the chat I am very interested in buying wholesale and selling to work colleagues and friends. My family are daily (sometimes more than once) users of your fantastic product, there is no other product like this on the market, we all carry one in our cars, I have one in my office and am being constantly asked "wow" where do you get that from. Wherever we go so does the Aussie Lint Roller. We are all pet lovers and have cats and a dog so are constantly using the roller. For those dog hairs a vacuum cleaner just will not get off the carpet in your car, the Aussie Lint Roller will. Have bought this product before and think it is great! I have used this product for a number of years but couldn't find the refills locally so looked on the internet. The product is excellent. I breed Ragdoll cats. No it is so good there is not need to do anything with this product for me. Hi, I use your Aussie lint roller product on a regular basis as I find it to be the best product in the market for fluff and lint removal with my laundry. Hello Matt, I have just received my parcel of lint rollers ( these are presents for other cat lovers) TWO days after ordering them. This must be some sort of record, as I've never received such prompt service, thank you, and don't ever go out of business!! WOW….. First Class Customer Service from Matt, selling a First Class Product. I am addicted to the "lint roller" I look for things to clean up so that I can use my roller. Just what every household and business needs. Exceptional product. Thanks Matt. Thanks Matt & good luck with such a practical product. Hi Matt, I have just placed another order and just wanted to thank you, you have been helpful and patient on a number of times I have spoken to you on the phone. I have lots of animals and I could not live without this product it is the best and I also buy for my daughter. Once again thank you so much. Hi there, I just wanted to say how great the Aussie Lint Roller is. Its doing a wonderful job removing cat fur around here, much better than other sorts I've used. A great item and refills last a long time. Its a great item and refills last a long time. Matt, if being in business for nearly 30 years has taught me anything it is this: you can't stop things from sometimes going wrong. It's how you handle what goes wrong that will win or lose you repeat business. I commend you on the way you handled my complaint. My lint rollers arrived this morning. Hi Matt, thank you for my order received today, very efficient !! I use your product on my velour car seats, and it is the only thing that will remove the fluff. Thanks again. Great site, fabulous phone service too! I ABSOLUTELY LOVE your product. 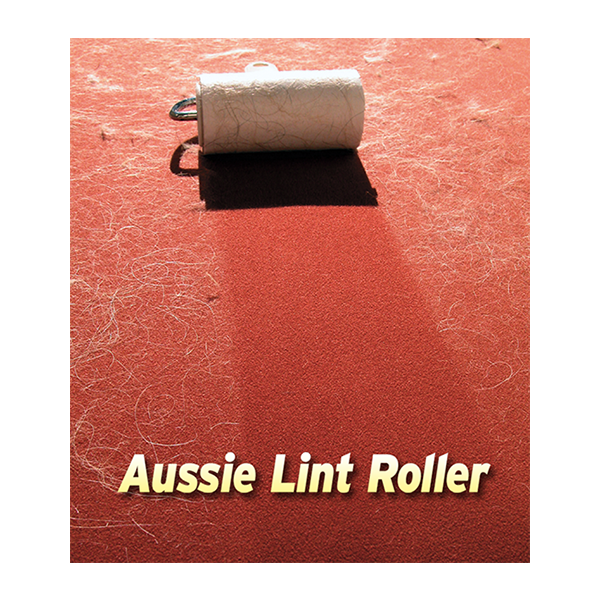 The Aussie Lint Roller is simply THE BEST IN THE WORLD and I have tried them all. I can throw away all the other brands I have been using after running out of your refills. I truly love this product and no other product on the market comes close (trust me I've tried them!!). I sing the praises of the product to every pet owner I know. I heard about your products on Dr Harry's Show years ago and I love them. We received the order today! That must be record time, thanks for the great customer service. I love my Lint Roller. I have two white dogs and wear a lot of black clothes, with the lint roller I no longer go out with white dog hair all over me. I clean my black cushions on my outdoor setting with lint roller no problems, tissues through the wash, no problems. It is a great product. I just wanted to thank you for your great product. I have 2 cats and 2 dogs and my lounge was constantly covering in animal hair, to the point where we had to cover it with sheets. Now it only takes a few minutes every other day to have it looking brand new again. I have had a lint roller for many years and haven't come across a better cat hair removal product. Thank you, thank you, thank you, I am so excited that I am one of the lucky winners of the Testimonial Competition. I just couldn't live without your product, well maybe I could live but I wouldn't be so contented. Your service is excellent also, thanks once again…..ANOTHER HAPPY CUSTOMER!!! Found your product on the net whilst looking for lint removers. Everything A1, great product, terrific service, best thing EVER produced, thankyou. Thank-you Matt for the excellent service and follow through with resolving my recent 'problem' order. Look forward to receiving the products soon. I first purchased the medium lint roller at a pet show a few years ago and it has been a godsend in removing my mainly white cat's fur from furniture, dark clothing etc. My boyfriend makes telescopes and he borrowed my roller to remove fluff and bits from the black felt they are lined with and he is now hooked as well. A great product. Thanks again !! Thank You. We are finding the product fantastic. We have a long haired Chinchilla cat that leaves its white fur everywhere especially on our black work clothes. We haven't been able to find anything so far that works. So we will be back. Hi Matt, the free refills will be much appreciated. We have a long white haired cat…and the lint rollers are the only thing that works on our black clothes. Hi Matt, thanks for the speedy service, I received my refills 5 days after they were sent and as you know I had already run out and was living on the edge. I cant believe how much my life revolves around the Aussie Lint Roller, I'm always busy and the lint roller seriously cuts my workload at home by half so again Matt, a big thank you! Sometimes there are things that you buy that work just perfectly, your lint roller is one of those things. I have given lots of my friends one as presents and they are all enthusiasts now! I was given one of your excellent lint rollers as a gift. We run a bed and breakfast establishment and our pets tend to leave their hair all over the couches. Since receiving the lint roller we have no more problems with animal (or human) hair. Dear Matt, Thank you for getting back to me so quickly and for being so professional. I look forward to our continued business. I purchased your large lint roller some years ago and have found it really easy to use and most effective particularly picking up shed dog hair. I initially purchased the small Aussie Lint Roller to try, as I was desperate for a product that I could easily use to remove unwanted cat hair from my clothes. That was almost 12 months ago, and I have been using it religiously ever since. Thanks for your prompt attention. Your "customer relations" is excellent in an era where "customer care" doesn't seem to matter too most people nowadays. I have 4 dogs and the Lint Roller has been a God Send. Thank you very much. My adult daughters use the rollers all the time as well so we will share them around. Anyone in an office job who has animals should definitely have one. I wish more businesses offered the service you do! Thank you for your prompt response and for the explanation. I have bought several rollers and they are a great product. In fact they have made some of my clothes wearable whereas before they weren't, even with the best care of our pets. I first purchased your large lint roller about 18 months ago and found it be a fantastic product. So much so that I have been buying a refill every couple of months as I have two cats inside. I use it mostly on my lounge and clothes and have been very happy with it. Thank you very much for your quick response to my feedback. When you find a good product you like to stick to it. I have no problems with being on your mailing list, and look forward to any correspondence in the future. Thank you very much again. I've tried other brands and am disappointed. Why should I buy your products? 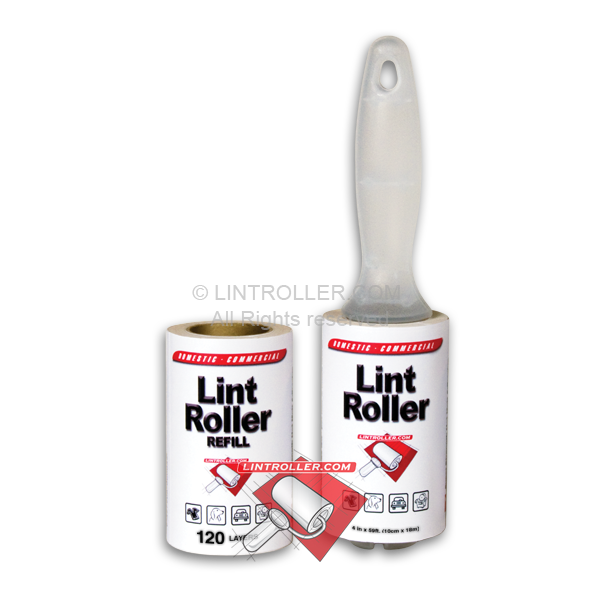 We are lint roller specialists and offer only superior lint rollers that will not disappoint. All of our lint rollers perform exceptionally and we guarantee it! The adhesive can be heard working hard as you roll. Our most popular items are the AUSSIE LINT ROLLER range of professional heavy duty refillable pet hair lint removers. Recommended and rated by Veterinarians as the No.1 PET HAIR REMOVER since launching on Channel 7's HARRY'S PRACTICE in 2000, the large size is super-wide and popular for cleaning large areas quickly. Reward Points are auto-accrued on most purchases until you total $300 in orders. You are then automatically upgraded to LIFETIME CUSTOMER and receive 20% OFF all orders at checkout, with no further Reward Points accrued. How do I get a FREE Carpet Roller + Extension Pole? Simply add it to your cart when shopping with us. Minimum order $45. Postage is a flat $14 at checkout. 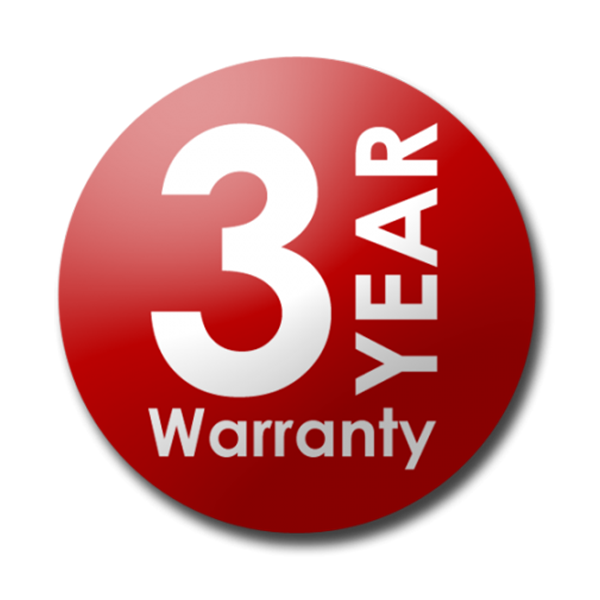 If for any reason you are not satisfied with our products within 30 days of the purchase date, please contact us or the retailer you purchased from. Are your products sold in supermarkets? No, we make them too well and with too many layers of high grade adhesive tape that last too long between refilling, and interestingly whilst these are attractive qualities to you the customer, they are not attractive to supermarket because they do not provide a fast enough customer return. Our products are but a few of thousands of brilliant products rejected by supermarkets for simply being too good. Long hair/debris is wound around my lint roller, making the tape difficult to lift and peel without splitting. Is there a fix for this? Yes, lift the full width of tape and fold 3mm back onto itself to create a double strength LIFTING STRIP. We recommend adopting the above folding technique as our tape lifts and holds more hair and debris than any other brand. Our notification system will keep you up to date every step of the way. You will receive an order notification email within the hour. If not, please check your email spam filter settings before contacting us, as sometimes our email may go to your spam folder. Next, you will receive a shipping notification email containing an AusPost tracking number. Our full range of products are available here and shipped daily by Regular Post satchel. Please note that our Carpet Roller is exclusive to this site. AUSSIE LINT ROLLER range is also available in all GOOD pet stores, vets and many online stores. BASIC LINT ROLLER range is also available in all GOOD vets and pharmacies. We ship daily within Australia by AusPost satchel | 3-4 days delivery with tracking. Buying direct from the manufacturer, your peace of mind is knowing we are fully stocked with fresh product, and any delay is highly unlikely. 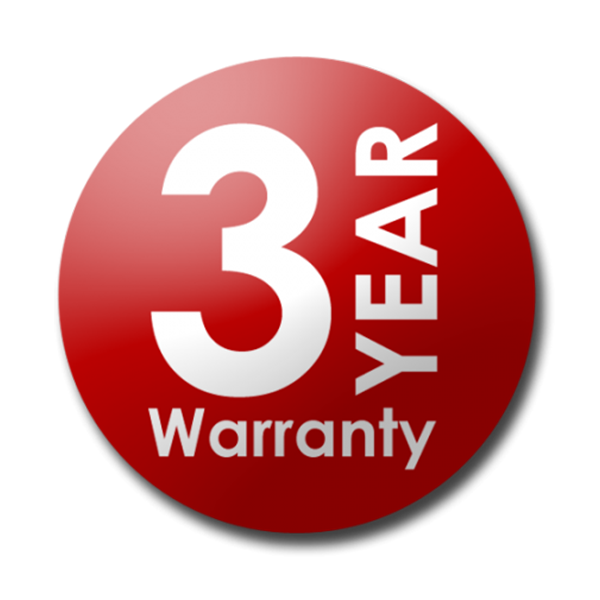 Our 3-Year Warranty covers our premium AUSSIE LINT ROLLERS against defects in materials and workmanship from date of purchase. If our product fails to perform, please call 1800 069 261 with proof of purchase to initiate a return and replacement. Registration covers *AUSSIE LINT ROLLERS purchased from all Australian retailers. Purchased here? No need to register, you are automatically covered. Professional TRIPLE STRENGTH adhesive. Comfortable basic handle. Purchase this product now and earn $7 in Reward Points! Recommended by vets & animal lovers to remove pet hair, allergens & micro debris as seen on 7’s Harry’s Practice,TVSN, and Danoz Direct. Our superior adhesion provides maximum grabbing power to lift the most stubborn tough-to-remove lint and pet hair where other products simply fail. Never leave your home covered in pet hair and lint again, this amazing household helper does it all! 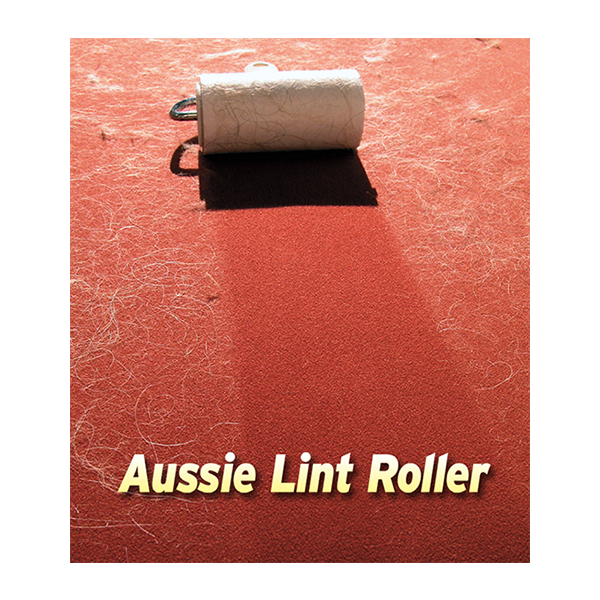 Whether you’re cleaning your home, office, car, pool table, or your favourite clothing, it’s a snap with the AUSSIE LINT ROLLER. It’s perfect for removing, pet hair, cat litter, lint, fluff, dust, loose threads, crumbs, sand and glass fragment from just about anywhere. It even cleans difficult surfaces such as lampshades, vertical blinds and fly screens. Simply remove the protective cover sheet and roll the lint roller over the item you wish to clean. When the tape is full of debris and no longer sticky, just peel it from the roll, and tear it off to reveal a fresh new sticky layer. To refill, push in the locking tabs and slide the used roll from the roller. Slide the new refill roll onto the roller until it locks into place. Great to have in my bag. I love my black clothes, especially my black suit which makes me look professional at work. But sadly, my cats’ fur also love black. I often find myself covered with black fur by the time I’m in the office. I used to carry around a super market brand of lint roller, and I’d have to roll over the same area a few times to get the fur off my clothes. With this Aussie Lint Roller, the fur comes right off. I love how much more sticky this is.